Plot: When a Predator ship crash lands in Mexico, it inadvertently interrupts a hostage retrieval mission led by Army Ranger sniper Quinn McKenna (Boyd Holbrook). Although his crew is killed by the Predator creature, McKenna manages to escape and mail Predator tech to his ex-wife and son before being apprehended by government agent Wil Traeger (Sterling K. Brown). Traeger is the head of Project Stargazer, a group that have been mapping the comings and goings of Predators for decades. 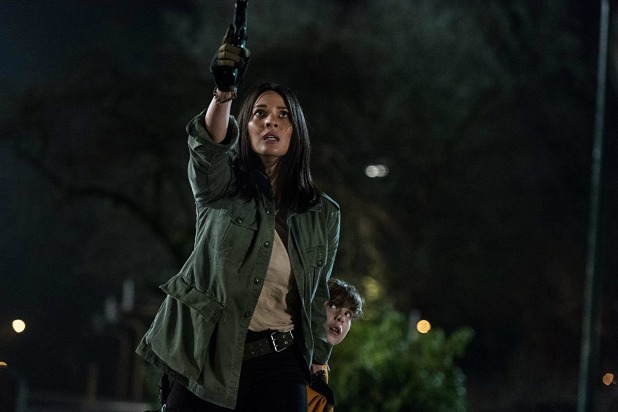 When Traeger’s scientists discover something odd about the latest Predator DNA, he enlists the help of evolutionary biologist Dr. Casey Bracket (Olivia Munn). Quinn’s autistic son Rory (Jacob Tremblay) finds the Predator tech and manages to activate it, drawing the attention of another Predator. Meanwhile, Quinn must find a way to escape a bus filled with ex-military loonies, stop the Predator, and save his family. Two words best describe director Shane Black’s latest edition of the Predator franchise: wasted potential. Messy, nonsensical, and lacking any real suspense or stakes, The Predator strives too often for punchlines rather than pathos. 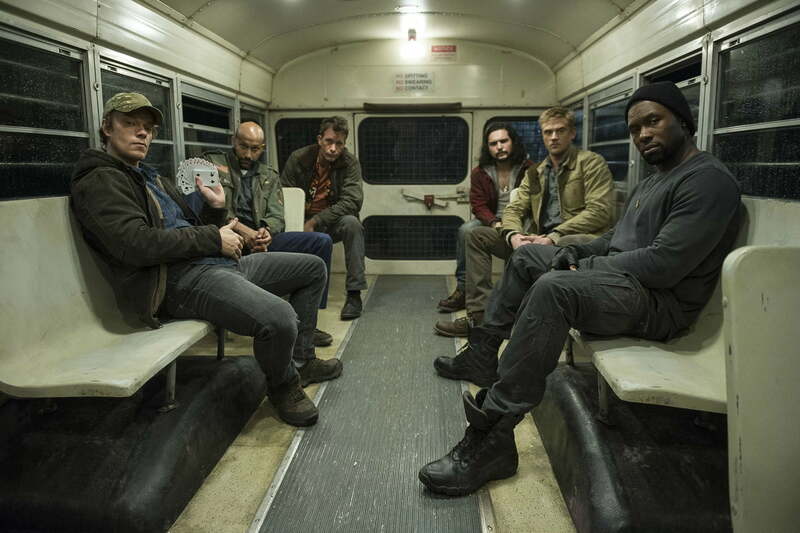 While a decent amount of the jokes land, especially with Coyle (Keegan-Michael Key) and Baxley (Thomas Jane), Black’s film feels more like a send-up of Predator films rather than an actual movie that can stand on its own. It never takes itself seriously. The film lacks even a modicum of gravitas, something it desperately needs. I’ll always have a soft spot for Fred Dekker as he co-wrote and directed one of my childhood favorites, The Monster Squad. 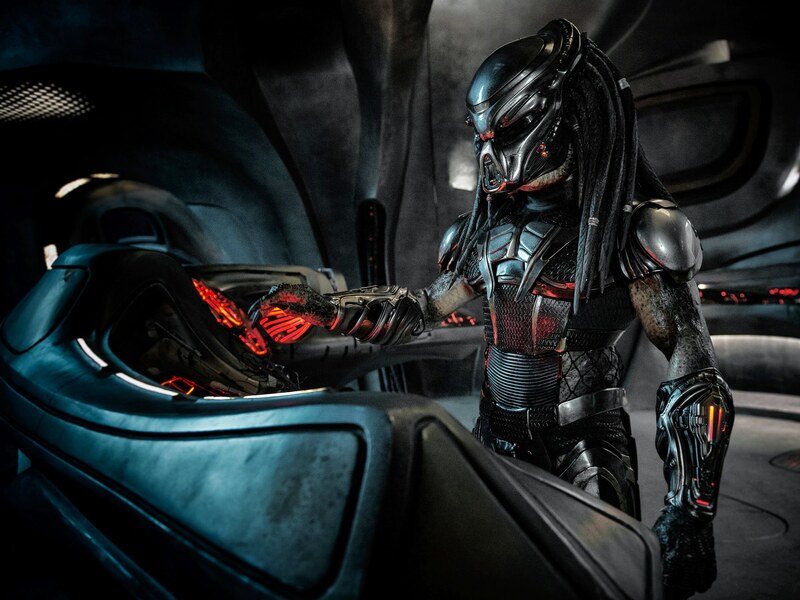 However, his script for The Predator comes off sophomoric and lazy at times. 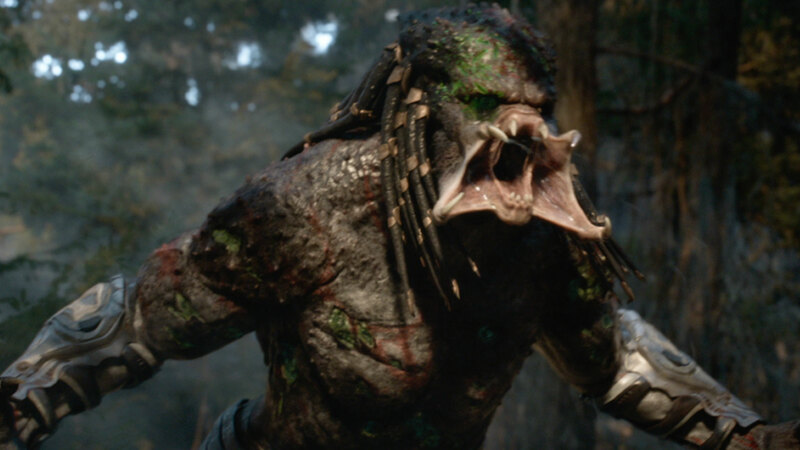 I don’t believe it’s all of Dekker’s fault, as the last third of the film smacks of studio tampering, but there’s not a single character in The Predator that’s more than two-dimensional. Even Trevante Rhodes’ charismatic ex-Marine Nebraska Williams, who fares better than most in Black’s movie, isn’t given much to do other than smoke cigarettes, smile broadly, and drive fast. Jane’s character Baxley exemplifies the walking stereotype of a man with Tourette’s Syndrome, constantly swearing and saying inappropriate comments. It’s a good thing he’s got excellent chemistry with Key’s Coyle as their interaction proves to be one of the few good things about the movie. Dekker’s women don’t fare much better. Yvonne Strahovski is wasted as Quinn’s ex-wife Emily. She proves to be nothing more than a cypher, at one point literally listing off McKenna’s bona fides as a soldier. The script gives Olivia Munn’s Dr. Bracket little to no agency. She’s the classic Mary Sue character in Shane Black’s film, able to rise to every occasion without ever growing or being challenged. Munn’s tepid and boring acting matches an equally tepid and boring character. At one point we as the audience are told that one of the reasons Bracket is brought in by Traeger is because she wrote a letter when she was six to the President stating that if they ever found an alien to contact her. I AM NOT JOKING. I will admit that the Predator creature itself has never looked better on screen. We even get the introduction of a new “super-Predator” that’s eleven feet tall and treats regular Predators like humans in its viciousness. Additionally, there’s some great kills and the action sequences early on rival anything in the franchise. There’s even a couple of moments where the human characters get to use the Predator’s invisibility device which is pretty slick. Unfortunately, Harry B. Miller and Billy Weber’s atrocious editing often undermines any sleek and stylish creature-feature effects. The last twenty minutes of the film are edited so poorly that it makes you wonder if Miller and Weber were drunk on that particular day. In fact there’s a “blink and you miss it” moment where one of the main characters dies. Larry Fong’s cinematography in the third act (which for the record I loved his work in 300 and Watchmen) is so bad that at times it makes AVP: Requiem‘s look half-way decent, a feat I didn’t think was possible. Additionally, while I like Boyd Holbrook, he’s just not a compelling lead. I don’t expect him to be Arnie’s Dutch from the original, or even Glover’s Harrigan from Predator 2, but damn man give me something. Holbrook’s acting never rises above the realm of mediocre and I just didn’t buy him as a guy who’s “been to the wars” so to speak. In fact Thomas Jane would probably have made a much better Quinn McKenna than Holbrook. Of all the people in Shane Black’s The Predator, Jacob Tremblay probably manages the best. His autistic Rory feels authentic if stereotypical, and The Predator proves that Room wasn’t a fluke. It’s just too bad he was saddled with some half-assed “autistic kid is actually a superhero” trope. But to be fair he makes the most of what he’s given. That last line is what clinched it for me. I mean good God there’s so many leaps in logic that it boggles the mind. I’m supposed to believe that when two bullies pull the fire alarm, and the autistic child gets left behind that his teacher didn’t try to grab him on the way out? Or that Emily would allow her ten-year old autistic son to go strolling around the neighborhood in Predator tech COMPLETELY unaccompanied? Or that somehow the facility that they are transferring the “loonies” from just happens to be a hop, skip, and a jump away from the Project Stargazer building. I mean…. It’s instances such as those aforementioned and others (*cough cough* Predator dogs *cough cough*) that make The Predator a sloppy mess and occasionally a chore to watch. Even a subplot involving a gift that the rogue Predator tries to give humanity doesn’t pay off. In an end scene that somehow sees our main character land on his feet in an unexpected and unbelievable way, the gift bestowed upon the human race is lame beyond belief. If it would have been Arnie’s Dutch in the container I would have been stoked but tragically that was not the case. In the end sadly, Shane Black’s The Predator does not in fact “get to da choppa.” Hell it didn’t even make it to the helipad.